Downtown Chesterton, Indiana as seen from the corner of Broadway and Calumet Ave in Northwest Indiana. 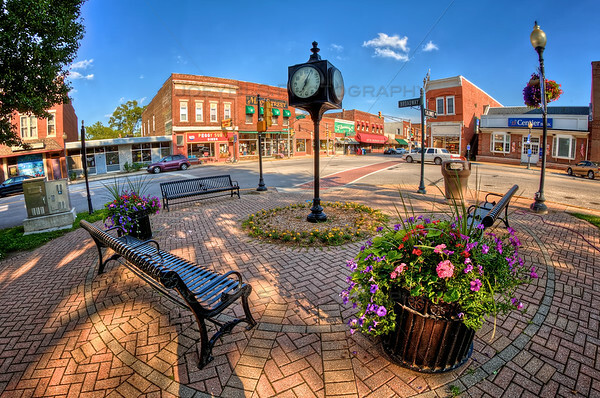 Chesterton is located near the Indiana Dunes State Park and National Lakeshore and is known for its many antique shops as well as being the former host of the long running Wizard of Oz Festival and Parade which held its last festival in 2012. Downtown Chesterton, Indiana by Joey B. Lax-Salinas is licensed under a Creative Commons Attribution-NonCommercial-NoDerivs 3.0 Unported License. Permissions beyond the scope of this license may be available at http://www.joeyblsphotography.com.